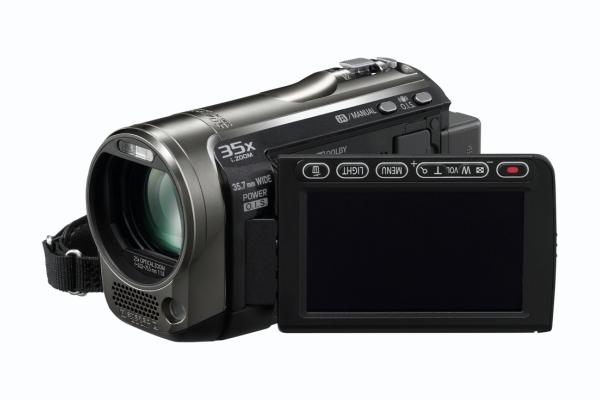 2010 looks set to be a great year for videographers with Panasonic’s quartet of new High Definition models. Featuring a 35.7mm wide lens, 35x Intelligent Zoom, newly developed Power O.I.S and Face Recognition – the new models are feature packed for your enjoyment. Enjoying slim and slender dimensions, the new additions are perfect for those looking for an easy to operate model with superb image quality and extra portability. The 60 series feature the Full HD 1MOS system for excellent picture quality – offering an affordable solution to full-HD images. The compact and stylish HDC-HS60, TM60, TM55 and SD60 are perfect for anyone who wants to easily enjoy HD image quality. 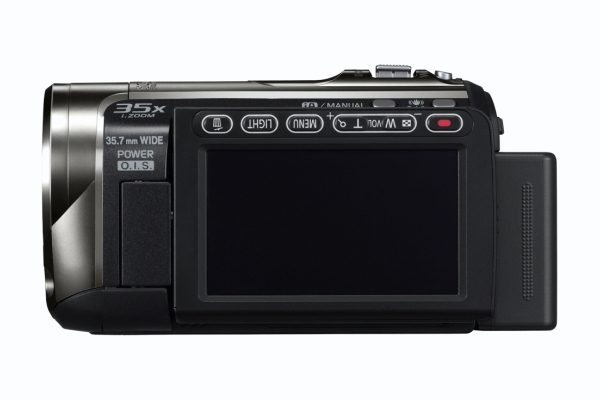 The hybrid-type HS60 records onto its 120-GB HDD and an SDXC, SDHC, or SD Memory Card. The twin-memory TM60/55 records onto its 16-GB/8GB built-in memory and an SDXC, SDHC, or SD Memory Card, and the SD60 records onto an SDXC, SDHC, or SD Memory Card. Despite their ultra-compact size, these models all feature a powerful 25x optical zoom, which is further enhanced by Intelligent Resolution Technology in the Crystal Engine Pro image-processing circuit, to produce the new 35x Intelligent Zoom. The new zoom achieves even greater image detail. All of the new 1MOS HD models are also equipped with a 35.7mm* wide-angle lens that is ideal for many different shooting situations, such as self-portraits and group photos indoors, and landscape shots outdoors. The iA (Intelligent Auto) function, which was highly popular on previous models, is included, making it easy for anyone to take beautiful videos. Panasonic’s NEW POWER O.I.S. employs approximately five times the corrective power of conventional systems to effectively suppress blurring from low-frequency vibration, which was previously difficult to achieve. The addition of Active mode, which minimizes the blurring and lets users shoot while walking, brings crisp, clear images to virtually all shooting styles, from wide-angle to zoom shots. The iA function*, which automatically selects the most suitable shooting mode at the press of a button, has further evolved. In addition to the previous five functions, the new iA offers a Face Recognition function. Face Recognition is very useful for capturing beautiful images of a specific person among a group of people in the frame. Face Recognition finds the registered faces of subjects and automatically optimizes the focus and exposure for them. It continues to track the subject as the person moves anywhere within the LCD frame, making it ideal for video shooting. A maximum of six faces can be registered. High recognition accuracy can be ensured under various shooting conditions by registering facial images from different angles or with different expressions for each person. Names can also be displayed up to three on the LCD. The image sensor and engine, as well as the lenses that support them, have all evolved to achieve 30% higher resolution than conventional camcorders, with 2.1M effective motion image pixels and approximately 1000 TV lines of resolution. Intelligent Resolution Technology enables all three models to record 5-megapixel still images. Smile Shot is new and handy function to the new models. 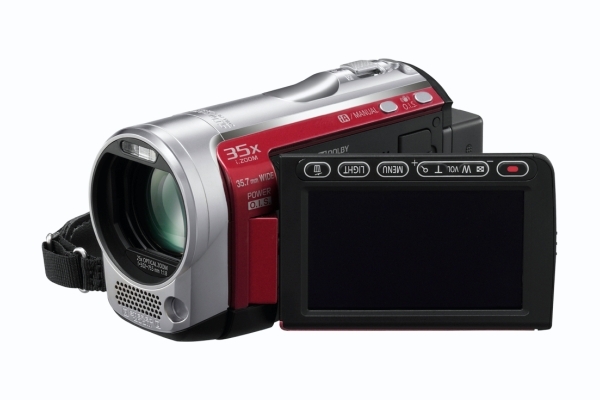 It automatically records a still image during motion image recording when the camcorder detects a smiling face on the subject. This makes sure that the user won’t miss the best smile. Not one to rest on its laurels, the new Wind Noise Canceller, which has evolved from Panasonic’s previous Wind Cut function, automatically detects and suppresses only wind noise, to maintain natural sounds with lifelike ambience. 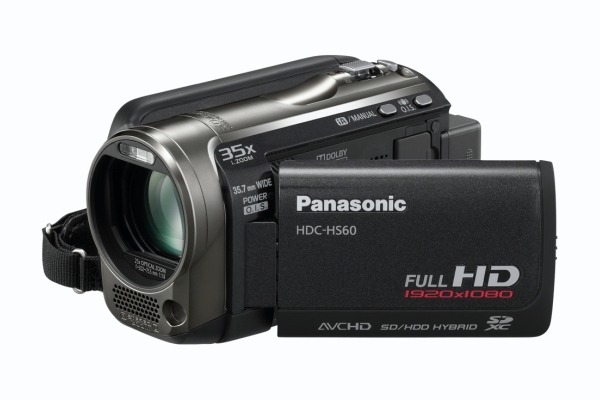 With a multitude of features encompassed within a slim and sleek body design – Panasonic’s new high definition range of camcorders are a strong proposition. Offering superb image quality and tantalizing good looks – what more could you want! The new models will be available from February 2010.